We’re back folks and we’re talking about a mysterious band from the Orient… maybe they’re from there… I’m not even really sure what “The Orient” consists of… but it sounds good, right? We’re talking about Japan’s Industrial/Horror Punk stalwarts Balzac, and their 2010 album, Judgement Day. 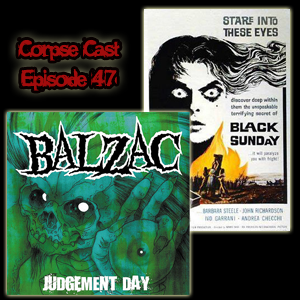 We’re also talking about Maestro Bava’s 1960 classic Black Sunday.